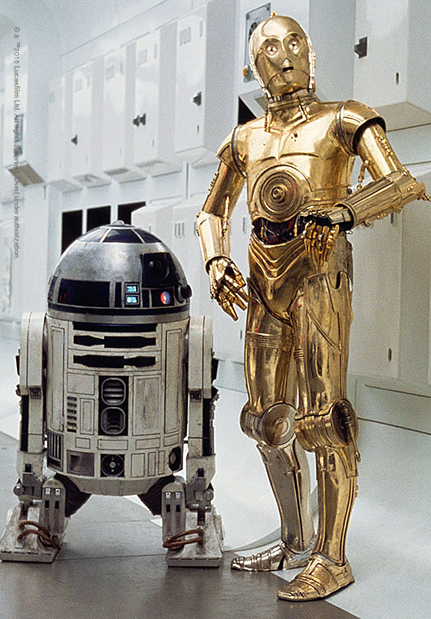 The functionality of the R2-D2 and C-3PO costumes is as important as their overall look, especially since the actors are frequently completely encased within them. Based on art by Ralph McQuarrie, these iconic robots were built by a team of artists and designers, and constructed from many materials including fiberglass, vac-formed plastic, and aluminum. 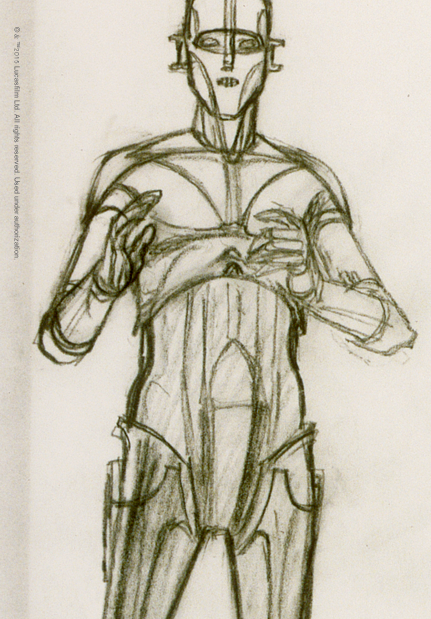 The Droid™ costumes demonstrate the tremendous breadth of the Star Wars™ design palette. Yet they are just two figures in George Lucas’s fantastical galaxy: beings of all shapes and sizes, representing multiple realms. 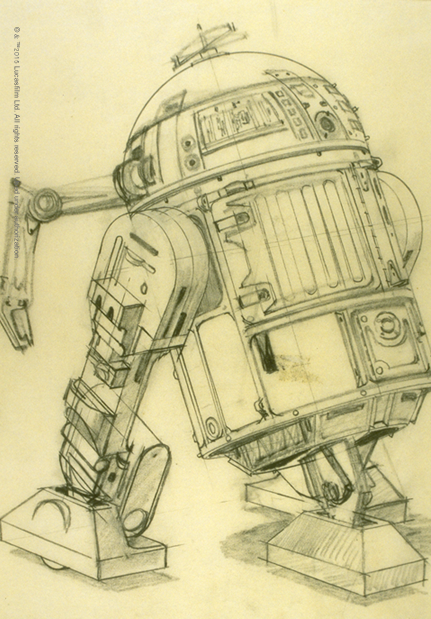 C-3PO and R2-D2 are among the earliest characters designed for Star Wars, and, decades later, their remarkable designs still have a wide appeal and strong cultural impact. As the Star Wars adventures continue, and even more new worlds are discovered and explored, the genius and artistry that went into the creation of these costumes endures. To create C-3PO, a plaster cast was made of C-3PO actor Anthony Daniels, and artists Liz Moore and Brian Muir sculpted the final look. It was manufactured from a number of materials including fiberglass, vac-formed plastic, and aluminum, which was then metalized to create its shiny golden appearance. 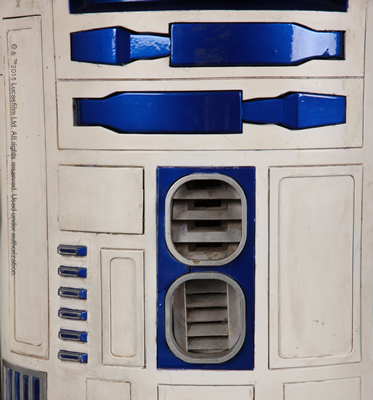 In the original Star Wars films, there were two types of R2-D2 models, one that was remote controlled and rolled on three-wheeled legs, and another in which actor Kenny Baker operated and animated the beloved robot from the inside.